The move toward Software-as-a-Service (SaaS) has been the strongest trend in the software business in recent memory. It changes the software business model in a number of fundamental ways. For the purposes of this article, I’m assuming the reader has a basic understanding of the SaaS business model. I’m also going to assume a basic understand of what a Value Added Reseller (VAR) is and does. I’ll focus on the fit between SaaS and the VAR distribution channel. Simplicity of startup for the customer – For many SaaS apps, getting started is as simple as signing up with a credit card and obtaining a user name and password. Contrast this with the lengthy, complex and sometimes extensive setup and configuration period for some B2B on-premise apps. (This strength is a potential problem for VARs). Available from any web browser – This is one of the great capabilities driving the SaaS revolution. Of course, traditional apps can have a web-based interface as well, but SaaS apps by definition are web-centric. Browser-based apps can limit functionality in some cases, but this is becoming less of an issue all the time. Maintain client control – VARs are very sensitive about retaining control of the relationship with their clients. They view these relationships as hard-won and without owning the intellectual property, these relationships are probably the most strategic aspect of their business. (VARs shy away from vendors who try to wrest account control from them and often new SaaS vendors have a “direct-first” mentality). The problem as discussed in the above paragraphs is that many of the ways VARs traditionally make money (installation, training, integration, customization, support, client control) have been eliminated or at least severely reduced as opportunities by first generation SaaS vendors. Frankly, it’s never been easy for any software vendor to recruit VARs who end up being “active” with their products. I’ve written about this extensively in other articles. This situation sets up the typical first generation SaaS vendor as an arch- enemy to VARs rather than a potential partner. Every SaaS CEO/VP-Marketing/VP-Sales should prefer to avoid having every VAR active in their market segment as an arch-enemy. Even if a SaaS vendor doesn’t see positive leverage in selling through the channel, the flip side is the possibility of significant negative leverage in having VARs selling against them. Remember, many of these VARs serve as trusted advisers and evaluators for the end-user customers that you are trying to win! The first-gen SaaS vendors weren’t attractive partners due to the lack of potential service revenue (and often aren’t looking to partner anyway, again utilizing a direct sales/marketing model), but are targeting the VAR’s customer base. Doesn’t this sound like a caution sign to SaaS vendors? Maybe–but let’s explore a few ideas for changing the equation that can be utilized by “second-generation” SaaS vendors. There are a number of forward-thinking second-gen SaaS who have been able to leverage the VAR channel for their companies. But for many of the reasons stated in the above paragraphs, there is still no established, tried and true model for attracting VARs to a SaaS offering today. Unfortunately I still don’t see enough SaaS vendors consider VAR channel strategy when designing their first product. In the early days of SaaS, enabling customization and integration with other products was tough to do. Now with APIs as a prominent tactic in Cloud/SaaS-based businesses, the tools are there to make it very possible. But it’s a lot harder if you try to do it “after the fact”, once your architecture has been set and the first commercial release is done. This one step can be a huge asset when you are later trying to design channel programs attractive to VARs, and it can of course be a huge advantage with certain end users as well. I recommend offering competitive upfront-sale margins, but going overboard here can be a waste of resources. Remember that VARs don’t build their business on upfront product sales revenue. Focus on finding ways VARs can make money dealing with you after the initial sale is complete. As an example, instead of a simple upfront commission consider sharing downstream subscription revenue–but with the stipulation that it’s only available if the VAR actively seeks subscription renewals as well as continues to creates X amount of new sales revenue each year. This is an example of a win/win which could lead to great loyalty for your offerings, tying the VAR’s interest to your business in the long run. VARs have a lot of capability to offer services that your end users might require and demand. Rather than competing with VARs with a large in-house consulting/support team (and using scarce capital that could be deployed elsewhere), take a look at creating service programs to utilize the best of your channel partners as your outsourced consulting team. Initial product training is a great example of a “consulting service” to outsource to your channel. Most product companies–SaaS or traditional– see training as a necessary evil and an afterthought, sometimes even giving it away for free–while providing it with insufficient attention from the end user’s perspective. With the right tools provided by the vendor, a VAR could turn this into a profit center for their business, while reducing your utilization of key resources on a non-core activity, as well as tying the VAR tightly to your products. In everything you do, keep in mind that the VAR is paranoid about account control (with good reason, unfortunately). Remember, you are in a business partnership with the VAR, and you need to trust them to do the right things for your joint business interests in the account. I’m not suggesting that you cede total account control to them; but let them lead. If you don’t feel like you can trust a particular VAR in this regard, don’t change your program to wrest account control from your channel. Stop doing business with that specific VAR. I’m optimistic that adopting a few of these ideas can give you a leg up over the competition in building a productive VAR channel for your SaaS business. I hope that you’ll find this article provocative, if not accurate in your view! This is strill an emerging, rapidly changing environment. Please post a comment with your own thoughts to expand the discussion. Paul, would you care to share a few details with us? I’m curious what the SaaS vendor felt wasn’t working in their old program, and what you find objectionable in the new one. It’s an interesting area…. I am trying to build a VAR realtionship with a SaaS provider. You have outlined the problem very well. The SaaS provider is changing their model because the previous one didn’t work, but they are going to the other extreme now. Which doesn’t suit me, but you have given me some ideas. Thoughtful article. I suspect the SaaS vendors who come to realize they require the services of VARs to make their offering a complete solution will be compelled to find new ways, along the lines of what you outlined, to atttact these VARs. The direct model can work for a point offering to a specific segment or demographic, but expanding to new ones may require new indirect channels and partners. In a completely orthogonal industry I think Home Depot and the effort they have put into different types of partnering models to address different levels of solution is worth studying. Very good article. Touches the heart of the issue. We are also trying to penetrate the VAR space (we use the word “synergy” to underline that we see VARs as very close “relatives” of the “family”). We have also thought of splitting initial revenues and monthly fees and also give space to the VAR to pull their own revenue. In summary, we transmit a quite “liberal” message towards the VARs. 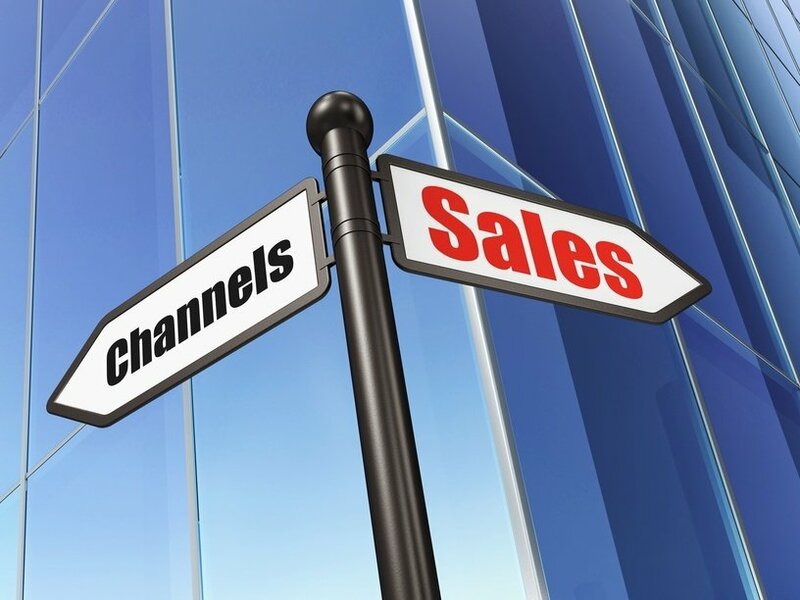 I know nothing about your business, but are you having success selling direct? This is usually a prerequisite for success in the VAR channel. Is your product really one they can build a substantial services business around? It’s important to be honest with yourself about this, as it’s not true in all software product cases. If the answer to these two are yes, don’t give up. (Simplistic analysis, of course) The VAR channel is notoriously difficult to leverage in the short run, and you may never get out of it what you set out to. But over time they can become in aggregate an important leverage point in the market for you. This topic is probably one of the most heavily debated for more traditional enterprise VARs. The upfront margins for perpetual revenues trump that of SaaS by orders of magnitude. The revenue this provided smoothed out services peaks and valleys by orders of magnitude…and offset services at competitive levels. To me, the paradigm shift here is far greater than many perpetual var business models can consume in their current SG&A gtm – and will give rise to a new value added solution provider network. Likely one that provides disparate services as the cloud and complimented with vertical or solution oriented offerings that sit alongside in a marketplace. The latter part filling the margin void. Have you come across any small or mid sized SaaS companies who has been successful with VARs at all? Great article. The changing model needs judicious consideration of the long term viability of VARs. I agree that one needs to guard against VARs selling against SaaS vendors. Your advice goes a long way in creating that conducive environment for a win-win solution. VARs continue to be valuable in navigating local perculiarities. Do you have any recommendation where to fin VAR for B2B SaaS AdTech solutions in the US and how to evaluate those VAR? Hi, we just partnered with Partner horsepower http://www.partnerhorsepower.com as their VAR. They are a VADistrbutor and they have enabled hundreds of resellers like us and Saas companies together to sell their products in local markets. Also they provide a whitelabled software marketplace to all their resellers along with pre sales support and trainings. They are working with some of the large global brands like Hubspot, twilio, pipedrive, MSB Docs and Wolters kluwer. I think it’s a good model for every saas company or partner to try.